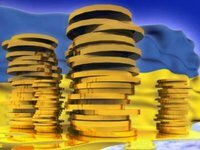 The Cabinet of Ministers of Ukraine has decided to additionally capitalize two state-owned banks – Ukreximbank by almost UAH 10 billion and Oschadbank by almost UAH 5 billion, Ukrainian Prime Minister Arseniy Yatseniuk said at a cabinet meeting on Wednesday. "The government additionally sends almost UAH 10 billion to the charter capital of Ukreximbank and almost UAH 5 billion to the charter capital of Oschadbank," he said. The prime minister said that this would support stability of the two key state-owned banks, provide for crediting and development of the Ukrainian economy. As reported, banks are to be additionally capitalized after stress tests conducted in 2015. According to a draft memorandum as of late November 2015 after conducting stress tests of 18 out of 20 largest banks the total need in their additional capitalization was UAH 156 billion.